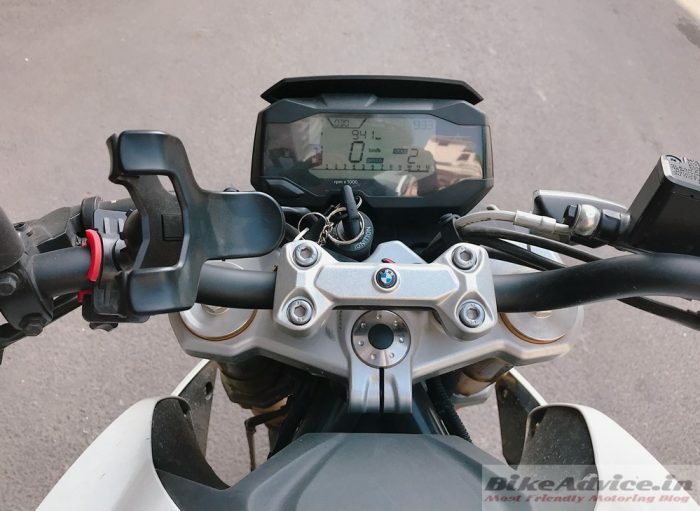 BMW G310 R User review shared by Ankit Agarwal. He expresses what he likes about his BMW, its fuel efficiency and what are the cons he has experienced. Here it is – in his own words. Exclusively on BikeAdvice! 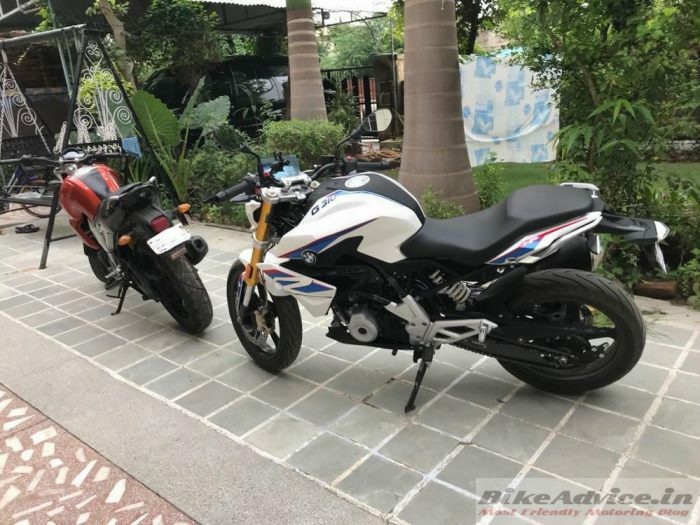 While riding, a thought came into my mind to share a 1000 kms ride review of my second motorcycle which is a BMW G310R! It all started in the year of 2009 when I was in college and got the first motorcycle of my life and since then I have fallen in love with riding, especially solo riding. Yes, at that time, the purchase decision was influenced by BikeAdvice.in which fortunately resulted in an ownership of an FZ16. I am going to complete 10 years of a great relationship with the machine on 25-May-2019. 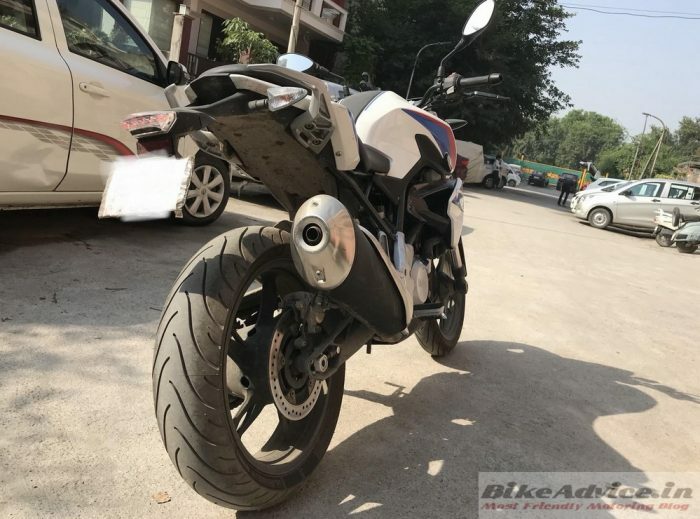 I purchased it from Lutyens Motorrad, a BMW Motorrad dealership based in New Delhi. 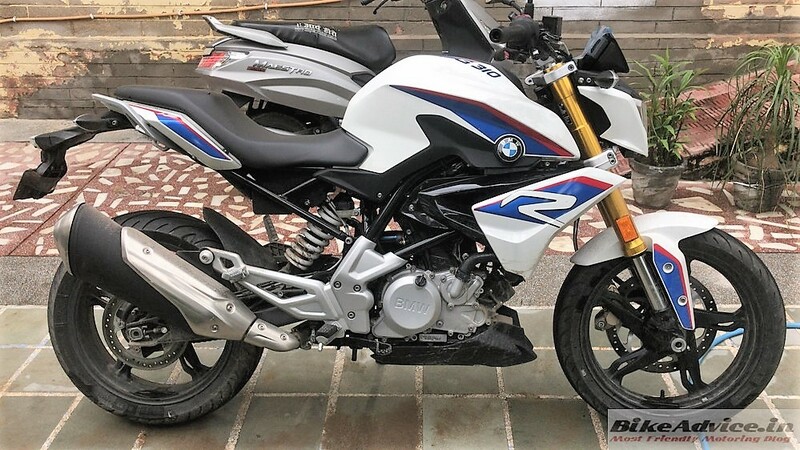 Delivery experience was average, staff at the dealership did not have ample information/knowledge about the Indian made BMW G310 R even post sale. Moreover, they charged INR 15000 additional as logistics and handling charges which is inappropriate if the motorcycle is not being imported. BMW India neither authorised nor took any responsibility of its dealerships across India – a clear case of Unfair Market Practices. Well, it is a BMW and G310 R doesn’t prove it wrong despite the fact that it is manufactured at a TVS plant based in Karnataka, India. The build quality and craftsmanship are not compromised, and you can feel it when you ride. It looks amazing to every naked lover. It has full digital instrument cluster with onboard computer and it gives a lot of useful information such as Range, Fuel Consumption, Engine Temperature, Average Speed, Trip Meters and a Gear Indicator. It will not get started if you pull the throttle while igniting the engine. The engine gets turn off as soon as the side stand down. I have completed 1000 kms on it with one 400 km highway trip. It has a backward inclined single cylinder engine that produces 34 PS of peak power. Power delivery is smooth and throttle response is amazing. 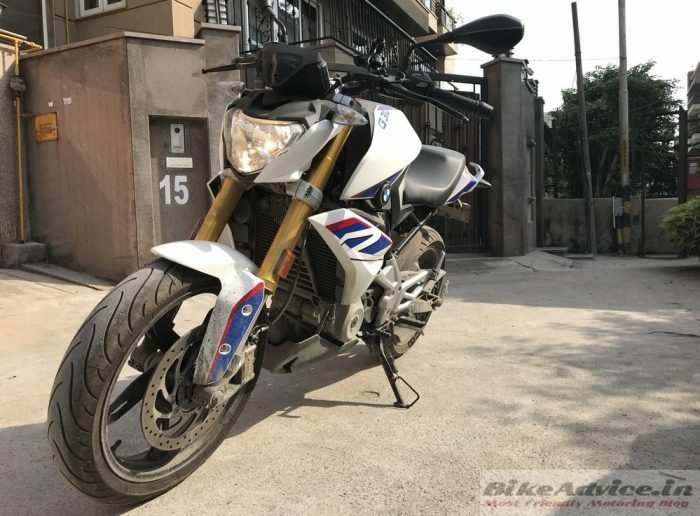 You never feel like lagging, in-fact it is far better than other same capacity motorcycles or even against its adventure version 310 GS because of low weight and better Power-to-Weight ratio. Brakes are good, but I think they could have been better. It has a 2-channel ABS that remains active all the time. It comfortably cruises at 90-100 kmph at around 6000 rpm in top gear. Suspension setup is smooth and ride quality is great. It is giving me a city mileage of 20-22 kmpl and on highways 32-35 kmpl. To conclude, I enjoy every ride on it and will give 100% marks to the ride quality and handling. Despite being manufactured in India, it comes at an on-road price of Rs 3.62 lacs in New Delhi, India. The price justifies its brand value but not its equipment value as the rivals (KTM) are better equipped and cheaper priced. 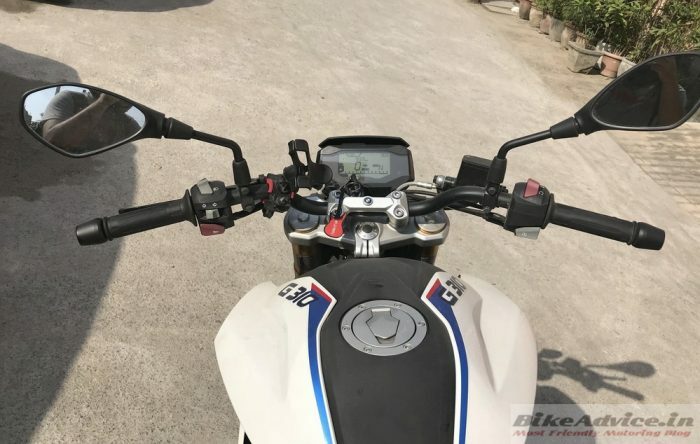 Moreover, being priced too high it doesn’t even have some necessary components such as LED Headlamps which are present even on a Yamaha FZ-25. AOH Regulations consumes a lot of battery and conventional headlamps will ensure that the battery will die very young. I read it somewhere: “A Motorcycle is a Reflection of a Rider and his Feelings“. 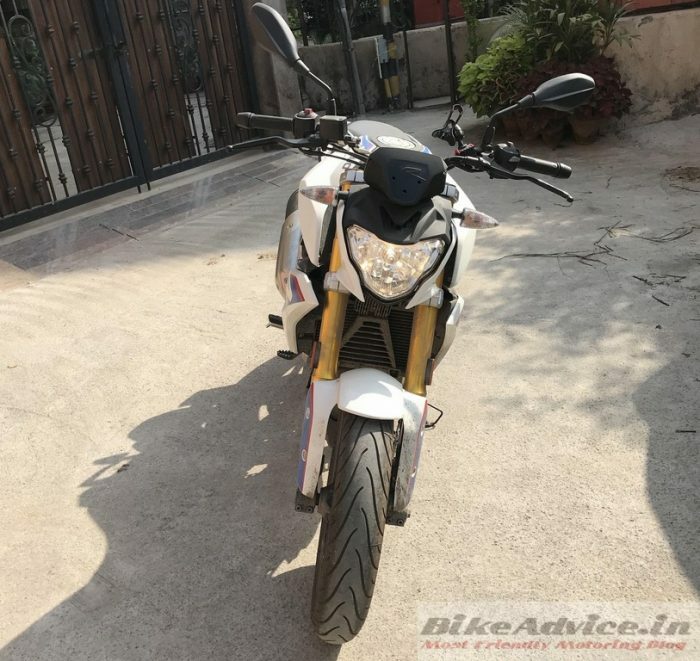 For that saying, you should go and see the bike, take a test ride, and if it gets connected to you, forget the specifications, forget the comparisons, think about finances and buy it. You can also get featured at BikeAdvice. Share your motorcycle’s review & pics with us at admin[@]bikeadvice.in (Remove braces).